Recent research suggests that after decades of population decline, indigenous populations of the lowland tropics of Latin America are now experiencing rapid growth. At the same time, conservationists have pronounced indigenous lands as a key to the future of Amazon forests. As such, conservationists should have a good understanding of indigenous demography and impacts on conservation and development. Yet, there is little depth to understanding of these demographic changes and a dearth of quantitative research on the reproductive practices of indigenous populations. This study addresses these gaps through analyses of a household survey of 648 women of reproductive age from five distinct ethnic populations in the Ecuadorian Amazon. We estimate fertility, analyze reproductive intentions and contraceptive use, and determine the unmet need for reproductive health services. The analyses confirm high fertility rates and high levels of unmet need for contraception. 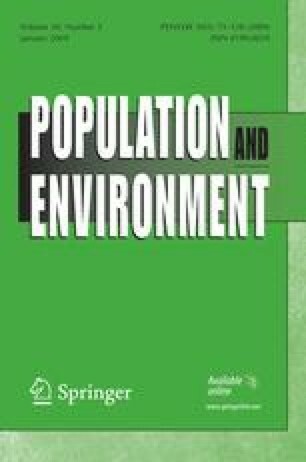 With regard to program and policy implications, we conclude by arguing that isolation and cultural barriers present unique challenges to meet the reproductive health needs of these populations. Innovative approaches, such as those merging population–health–environment topics, may be most relevant for meeting these challenges.